Biota is at The Old Clare Hotel from June 11 to July 7, 2018. James Viles is excited. Over the last two years the chef and his Biota team have been travelling across Australia to discover and learn about the country’s best and most interesting produce. 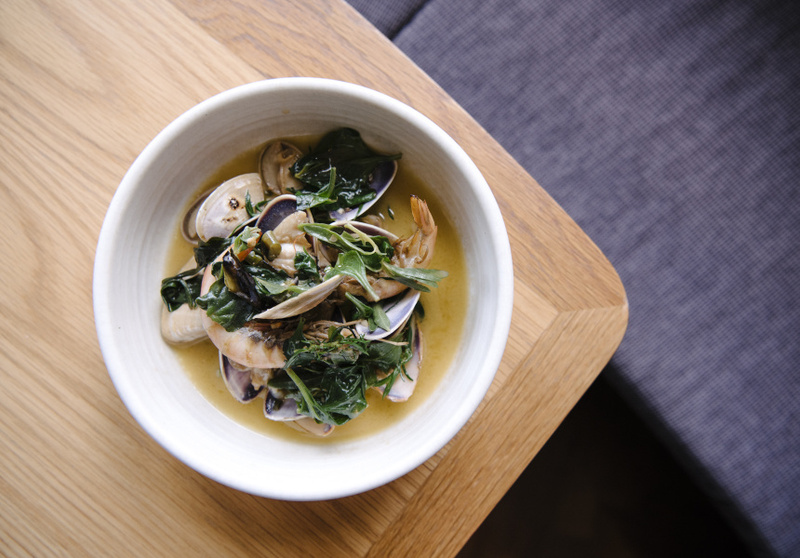 “It's been extensive, and this hasn't just been going to the farmers – we've been hunting and collecting wild ingredients ourselves,” says Viles. Now, he’s brought his Southern Highlands restaurant, Biota Dining, to Chippendale for a month-long residence – sharing everything he’s learned on the way. 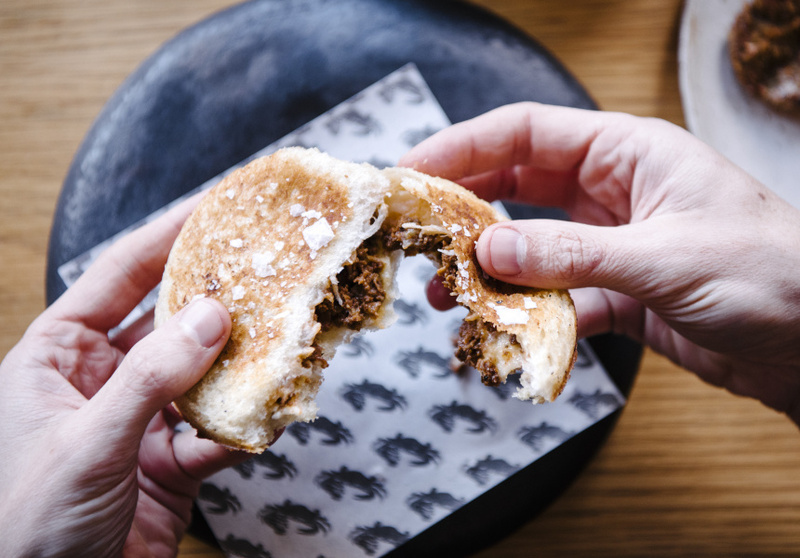 The pop-up, simply named Biota Chippendale, is both a mark of Biota’s evolution and a chance for Viles to cook everything he can’t in Bowral. “Biota has always been a localised restaurant, but I'm inspired by ingredients from all over the country and I want to use them. If I say Biota should only use ingredients from the Southern Highlands, then after eight years I'm not growing and learning. This [two years] was the catalyst for Biota to spread its wings,” he says. Like the Bowral restaurant, the pop-up showcases premium produce from all over the country. Flinders Island mutton bird is crumbed and fried into a schnitzel, Kurnell bull kelp is doused in vinegar and grilled on a skewer with calamari, and Ballina pippies and gulf prawns drown in a rich broth – there’s homemade roti to soak it all up. Everything is served in degustation style from a set menu. But that’s where the resemblance to the Southern Highlands flagship ends – Viles insists this time around, he wants to whisk away the silver service. He’s over the formalities of fine dining. Viles is also toying with another disruption to the usual fine-dining format. Inspired by Jetstar, he’s turning the restaurant experience into a ticketed event. You buy a seat that includes the set menu, and like the airline model, you add on any extras – the pine mushroom and folded egg dish can be sprinkled with truffle, for example. Or you can throw in an extra course of mud crab (for an additional $125) or adjust the wines. IF you’re happy with what you’re given,you don’t have to bring your – , the meal is pre-paid for. It’s not a contract though. You can get a beer or sparkling on arrival, or between courses, if you suddenly feel like it. So far, it’s been a huge success – Viles has been surprised by the number of people booking without seeing the menu. “I don't think it's about me or Biota. I just think people are curious. Maybe they like the spontaneity … the surprise,” he says. A surprise is exactly what this meal is, too. It’s not just seeing mutton bird on the menu; it’s the mandarin jam that comes with it, the pine-smelling Adi wine, the cloudy biodynamic quince cider and the Brahman hump (cow hump), which is plated bossam-style with lettuce, “scrap condiments” and “crack sauce” – a collection of whatever is left over, made from smoked chillies, butter and a reduced vinegar. 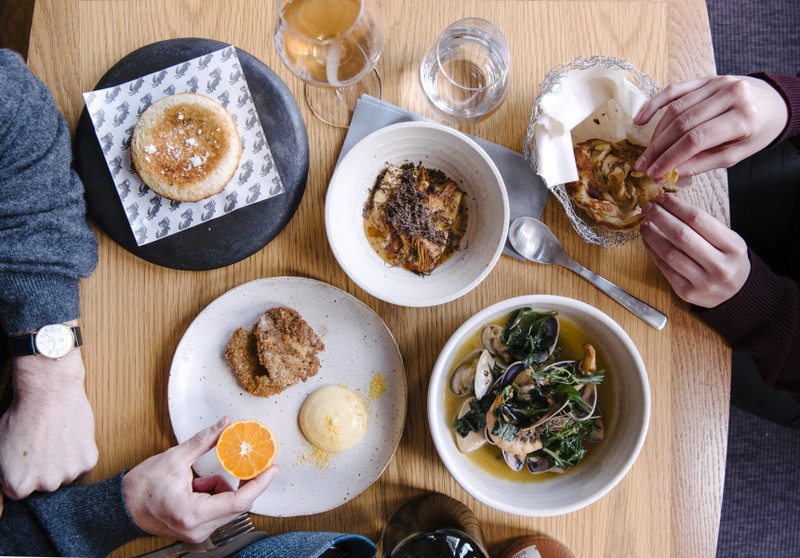 Viles also recently took a few friends on an Australian adventure – Paul Carmichael (Momofuku Seiōbo), Lennox Hastie (Firedoor), Duncan Welgemoed (Africola) and Mark LaBrooy (Three Blue Ducks) – the results from which will appear on the menu. Each chef will present his own Australian-inspired dish throughout the month.